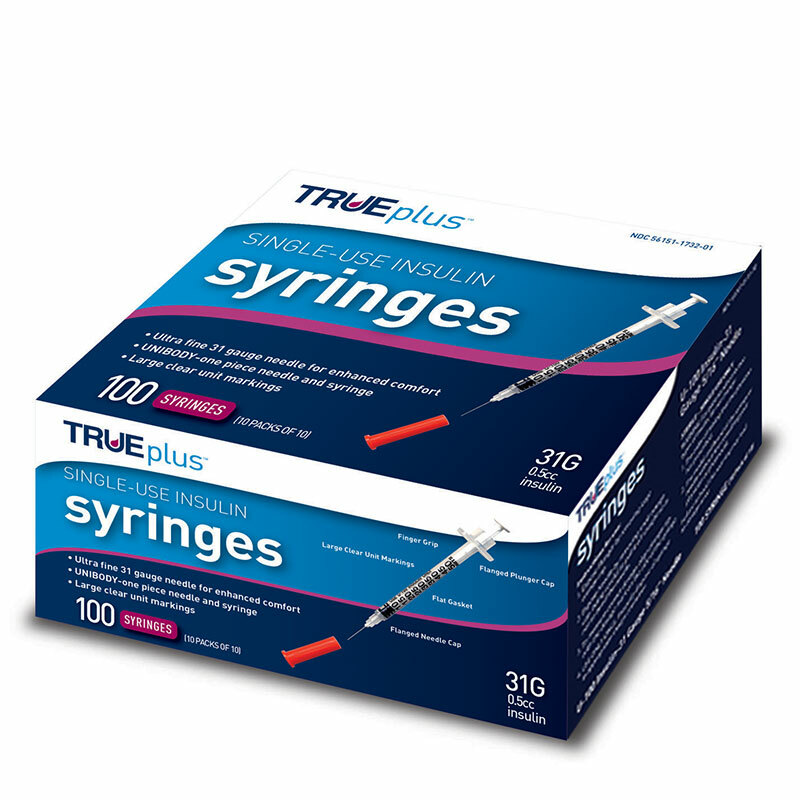 The TRUEplus™ single-use syringes (31G, 0.5cc, 8mm, 100ct) are easy and comfortable to use. They are available in a wide variety of gauges for enhanced comfort. The TRUEplus 31g single-use insulin syringes offer safety with sterile packaging and the convenience of large, clear markings to ensure you are selecting the correct dose. Designed for use with U-100 insulin, these syringes are crafted in a one-piece UNIBODY style for ease of use. The 31-gauge latex-free syringes are suitable for people with latex allergies. Help make your daily self-care routine more comfortable with TRUEplus. Each box contains 100 TRUEplus™ single-use insulin syringes in packs of 10. These needles are great. They are sharper and well made than BD needles. Also less costly. After ordering from a few other sites on the web and receiving low quality supplies then to top that off incorrect orders I went to Google and at the bottom of the page in related searches was ADW, that was over a year ago now and I haven't been anywhere else since. ADW has best prices, service, and supplies out there. I have gone through roughly 6-9 different name brands of syringe and ended up with these True Plus and have used them for several months now. They're amazing, high quality, super sharp-no pain, and just a superb value for the price. I will not use anything else but True Plus now and if you are hesitant on buying, DON'T BE. Highly recommended! My first order with ADW went fantastic. Fast shipping, excellent customer service, good quality product and affordable price. I will reorder and recommend. The last ones I purchased were hard to pull back to fill. the first ones were fine. I shouldn't have changed, just didn't need a needle that held such a large amount. I'm a 64 year veteran of Type 1 diabetes. This syringe is cheaper for me to buy then Medicare offers. I hardly feel pain and seldom see blood at the injection site. I buy 1000 syringes at a time and pay no freight with ADW. Great company with fine service!!! These syringes are the best price in this size and are sharp and comfortable. I love ADW I hate buying syringes at the hospital. Great quality, great prices and super quick delivery!